One of the gold coins, worth about $1,000 each, that have been dropped into the Salvation Army red kettle. HOUSTON (KTRK) -- It's gold coin time! The first gold coin of the 2016 season has been anonymously donated to the Salvation Army of Greater Houston. The Salvation Army wants to thank that donor, and invites wants others to continue making donations when they see the iconic bright red kettles. 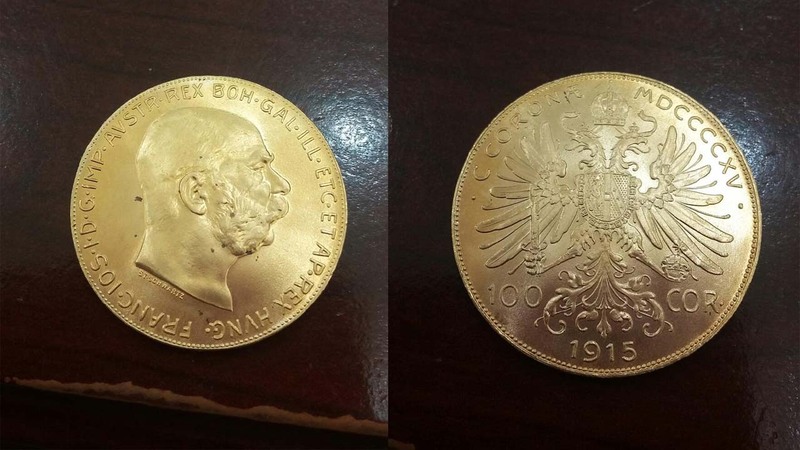 The gold coin was donated at a site outside a Walgreens, 1919 W. Gray St., and hidden inside a beige envelope. Gold coins are valued at about $1,000. Last year, $1.2 million was raised in the Salvation Army campaign. This year, the goal is $1.4 million. The Salvation Army's Red Kettle Campaign is the largest and oldest charitable fundraiser of its kind in the United States, having originated in 1891 in San Francisco.